Home » Our Blog » Get Fell Running Fit! Fell running has been around since the 1800s, necessity demanded that shepherds could navigate hilly and mountainous terrain quickly, in all weathers. Events began to be held where locals would pit their skills against each other, and the sport of Fell Running was created. The Lake District is the ideal place for Fell running, with a multitude of routes and an active fell running community. There are more gentle routes for those just starting out and contrasting, more challenging runs, including the Fairfield Horseshoe, which draws some of the best fell runners in the UK for an annual run in May. 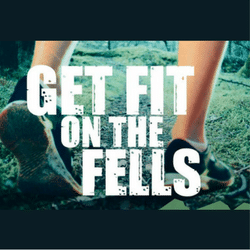 The guide below is aimed at those new to fell running. Maybe you’ve heard about it but aren’t sure what it entails. Or perhaps you’ve decided to give it a go but aren’t sure where to start. This guide will give you all the information you need to begin, including advice on gear, trails and tips on tackling your first route. Lace up your boots and get ready to run! <p></a> by <a href=https://www.craigmanor.co.uk/>Craig Manor</a>.